Angela Michele Miles 51 of Maroa, Illinois passed away 4:49 A.M. December 29, 2018 at her family residence, Maroa, Il. 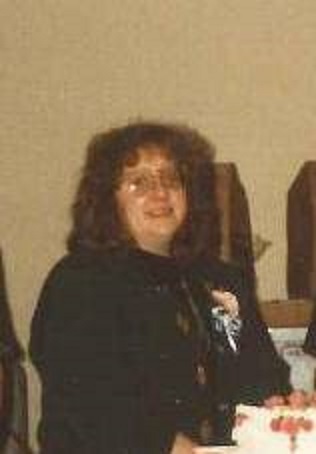 A time to celebrate Angela’s life will be 3 P.M. Wednesday, January 2, 2019 at Calvert Funeral Home, Maroa, IL with Rev. Mary Alice Cunningham officiating. Visitation will be 2 – 3 P.M. Wednesday, January 2, 2019 at the funeral home. Angela was born January 22, 1967 in Clinton, Il. the daughter of Charles and Peggy (Summers) Simpson.. She married Kevin Miles August 3, 2011 in Sevier County, TN. Survivors include her husband, Kevin Miles, Maroa, IL; mother, Peggy Simpson, Broadwell, IL; children: Jarod Daugherty, Grant Daugherty, and Macey Daugherty; step-children: Kelly Miles and Matt Miles; siblings: Charles W. Simpson, Jr., Broadwell, IL; and Annetta Green, Palm Coast, FL. Angela worked at Monsanto in Mason City, IL for 10 years and Akorn in Decatur, IL for 6 years. She loved playing games on her cell phone and crafts but most of all spending time with her family. Russell Eugene “Gene” Crutcher, 78, of Clinton, IL passed away 10:44 A.M. December 27, 2018 at OSF St. Joseph Medical Center, Bloomington, IL. Graveside services will be 11 AM Wednesday, January 2, 2019 at Woodlawn Cemetery, Clinton, IL with Greg Taylor officiating and Military Honors following. The family entrusted Calvert Funeral Home, Clinton, IL with arrangements. Memorials may be directed to the Gene Crutcher Memorial Fund. Gene was born September 14, 1940 in Clinton, IL the son of Russell J. and Etta Lee (Anderson) Crutcher. He married Vivian L. Carter January 27, 1973 in Kenney, IL. Survivors include his wife, Vivian L. Crutcher, Clinton, IL; children, Robin Lynn Finfrock, Deerfield, Florida; Russell R. (Denise) Crutcher, Clinton, IL; Austin E. (Allison) Crutcher, Clinton, IL; 3 grandchildren: Derek Finfrock, Wyatt R. Crutcher, Dakotah Crutcher. Gene was preceded in death by his parents, 1 daughter, Tracy, 1 brother, and 1 sister. Gene served his country in the Air Force from 1960 – 1964. After 35 years of service, Gene retired from Lynn & Fink in Lincoln, IL. He loved to hunt, fish, and the outdoors but especially loved spending time with his family. 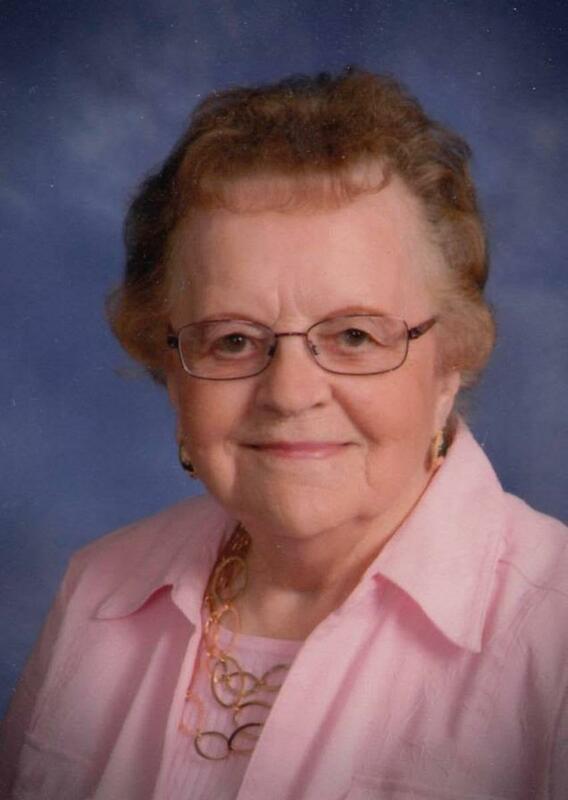 M. "Loretta” Goodman, of Lincoln, passed away on Wednesday, December 26, 2018 at The Christian Village, Lincoln Illinois. Loretta was born on October 8, 1927 in Wilcox, MO; the daughter of Olen and Viola (Sloan) Shelton. Loretta married Ray M. Goodman on July 2, 1947 in Maryville, MO. He preceded her in death on August 31, 1995. Loretta is survived by her children, Pamela (Michael) Chambers of Kissemmee, FL. R. Milton (Peggy) Goodman of Lincoln IL, Paula (Daniel) Landess of Lincoln IL, Penny (Frank) Stout of El Paso TX; eight grandchildren, Christopher (Nicki) Chambers, Cara (Jason) LeCureux, Rachel (Jeff) Stalnaker, Alyssa (Sam) Wier, Dirk Goodman, Eric (Jen) Goodman, Ashlie (Paul) Martin, and Dana (Mark) Luttrell. She is also survived by 20 great-grandchildren. Additionally, she is survived by several nieces, nephews, great-nieces, and great-nephews. She was preceded in death by her parents, her husband, and her sister Patricia Jones. Loretta was very active in the ministries at Lincoln Christian Church and participated in two mission trips to the Dominican Republic. She was involved with The Harvest of Talents and helped at The Logan County Food Pantry. Loretta worked as an aide for The Christian Nursery School for over 25 years. Department at Lincoln Christian Church, The Christian Nursery School, or The Christian Village. 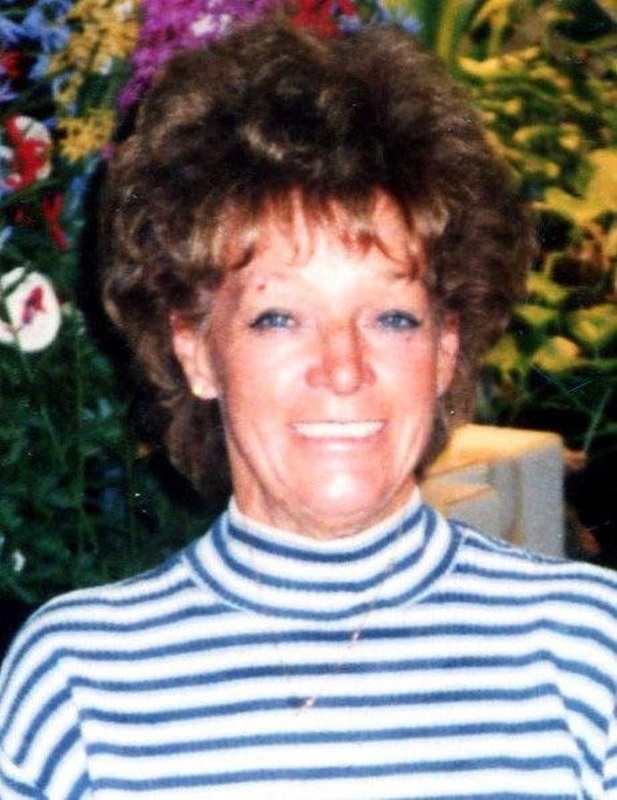 Connie R. Lanham Stewart, 75, of LeRoy, formerly of Downs, passed away Monday (Dec. 24, 2018) at LeRoy Manor, LeRoy. Connie's celebration of life will be at a later date. Cremation rites will be accorded. The family suggests memorials to be made to the Humane Society of Central Illinois, 423 Kays Drive, Normal, IL 61761. Beck Memorial Home, Bloomington, is in charge of arrangements. Connie was born Jan. 2, 1943, in Bloomington. She was the daughter of John and Nellie Weber Lanham. She married James “Jay” Stewart on March 3, 1960, in Bloomington. He preceded her in death on May 21, 2017. Connie is survived by her sons, Jim (Lesley) Stewart, LeRoy, and Todd Stewart, Downs. Also, surviving are two grandsons, Todd (Paula) Stewart Jr. and Cody (Bree) Stewart; one great-grandson, Connor Stewart; and a brother, John (Mavis) Lanham, Bloomington. Connie was a manager for Pet Supply in Normal, retiring in 2004. Connie raised exotic birds and affectionately was known as the “Bird Woman.” Connie was a kind and loving mother, grandmother and sister. She will be dearly missed by all who knew her. The family would like to send a special thank you to the staff at LeRoy Manor for the extraordinary and excellent care they provided for Connie during her stay. Condolences may be made to www.beckmemorial.com. Daren Wayne Gawthorp, 51, of Bloomington, Illinois, formerly of Farmer City, Illinois, passed away at 9:40 A.M. Monday, December 24, 2018, at his residence. A Celebration of Life Service will be at 10:00 A.M. Saturday, December 29, 2018, at Calvert-Belangee-Bruce Funeral Home, Farmer City with Pastor Bryan Phillips officiating. There will be no visitation. Entombment will be in Grandview Memorial Gardens Mausoleum, Champaign, Illinois. Memorials may be made to Chestnut Health Systems, 1003 Martin Luther King Jr. Dr., Bloomington, Illinois, 61701. Daren was born January 21, 1967, in Bloomington, Illinois, a son of Leonard W. & Elizabeth DeVault Gawthorp. Daren is survived by his parents, Leonard & Elizabeth Gawthorp of Mahomet, Illinois; son, Daren Wayne Gawthorp Jr. of Clinton, Illinois; daughter, Magan (Cody) Swanzy of Silverdale, Washington; sister, Leanna (Brent) Helmuth of Mahomet, Illinois. He was preceded in death by his brother, Jesse Gawthorp and maternal & paternal grandparents. Daren was a retired truck driver. Loren A. Devore, 87, of Heyworth, died at 1:20 a.m. Tuesday (Dec. 25, 2018) at his home. His memorial service will be at 11 a.m. Saturday at Heyworth Christian Church. Pastor Pete Hopkins will officiate. Visitation will be from 4 to 7 p.m. Friday at the church. Military rites will be performed. A private inurnment will be at a later date in Randolph Township Cemetery, Heyworth. Calvert & Metzler Memorial Home, Bloomington, is handling arrangements. He was born Feb. 28, 1931, in Bloomington, to Alonzo “Jack” and Florence Gose Devore. He married June Roberts Jan. 22, 1956, in Colfax. She preceded him in death on May 4, 2017. He was also preceded in death by two grandchildren, Matthew Sapp and Danielle Schaefer. Loren is survived by his five children, Cheryl (Terry) Cordell, McLean; Lori (Kathy Cantrell) Devore, Bloomington; Charles (Sonja) Devore, Clinton; Stacey (Matt Schaefer) Devore, Decatur; and Bonnie, Wapella; 10 grandchildren, Terry Lee Cordell Jr., Stephen (Leslie) Cordell, Timothy (Kristin) Cordell, Samuel Cordell, Seth Devore, Brittany Cantrell, Chloe Sapp, Carissa Sapp, Carter Schaefer, Kelley Devore; and one great-grandson, David Cordell. He is also survived by one brother, Roger (Joetta) Devore, Bloomington. Loren was a Korean War Army veteran where he served as a radio operator. He worked 32 years for State Farm Insurance in Bloomington as a systems analyst. He retired in 1987. He was also a very active member of Heyworth Christian Church for many years. Loren was also active in Prison Ministry, loved leading Bible studies in his home and was actively involved in Walk to Emmaus since 1984. Loren was also a member of Heyworth Ambulance Service for 12 years, the Heyworth School Board for nine years, a life member of the VFW and American Legion, as well as the Lions Club and Jaycees. Memorial contributions may be made to Heyworth Christian Church. 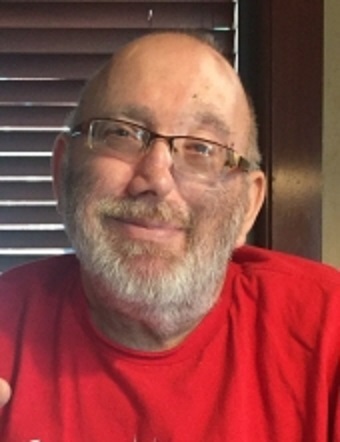 Ronald D. Moore, 68 of Murray, KY, formerly of Argenta, IL passed away 3:33 AM December 25, 2018 at Barnes Jewish Hospital, St. Louis, MO. Services will be 10 AM, Monday, December 31, 2018 at Calvert Funeral Home, Argenta, IL with Scott Marsh officiating. Burial will follow at Friends Creek Cemetery, Argenta, IL. Visitation will be 3 – 6 PM December 30, 2018 at the funeral home. Memorials may be directed to 8100 Queeny Tower, Barnes Jewish Hospital, One Barnes Jewish Plaza, St. Louis, MO 63110. 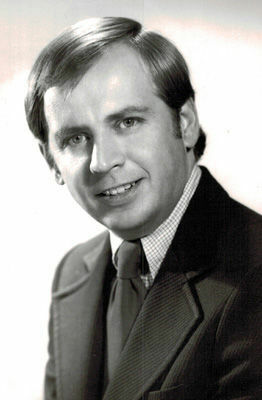 Ron was born June 9, 1950 in Decatur, IL the son of Richard and Mary (Edwards) Moore. He married Nancy Marlowe, April 25, 1971 in Decatur, IL. Survivors include his wife, Nancy Moore, Murray, KY; children, Ronda Nicole (Mark) Aspengren, Anchorage, AK, Natalie (Shawn) Durbin, Shiloh, IL, Orin (Angie) Moore, Edwardsville, IL; 6 grandchildren; sister: Betty Cox, Argenta, IL. He was preceded in death by his parents, and twin boys. Ron loved woodworking and collecting tools. 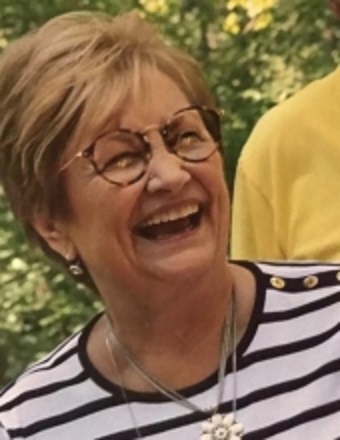 Linda Kaye Summers 73 of Wapella, IL passed away 2:24 PM December 22, 2018 at her family residence, Wapella, Il. Services will be 11 AM, Saturday, December 29, 2018 at the Calvert Funeral Home, Clinton, IL with Scott Miller and Curt Nettles officiating. Burial will follow at Long Point Cemetery, Wapella, IL. Visitation will be 10 – 11 AM, Saturday at the funeral home. Memorials may be directed to the Normal Church of Christ, Normal, IL. Linda was born May 13, 1945 in Clinton, IL the daughter of David Dudley and Alice Louise (Karr) Summers. Survivors include her siblings, James (Kay) Summers, Clinton, IL; Kenneth (Kay) Summers, Desert Palm Springs, CA; David (Terri) Summers, Farmer City, IL. She was preceded in death by her parents; 1 brother, Albert Dudley Summers; and 1 sister, Dottie Rosalie Summers. Linda loved to play Fast Track, making candles, and plastic canvas. She enjoyed luncheons with her friends. 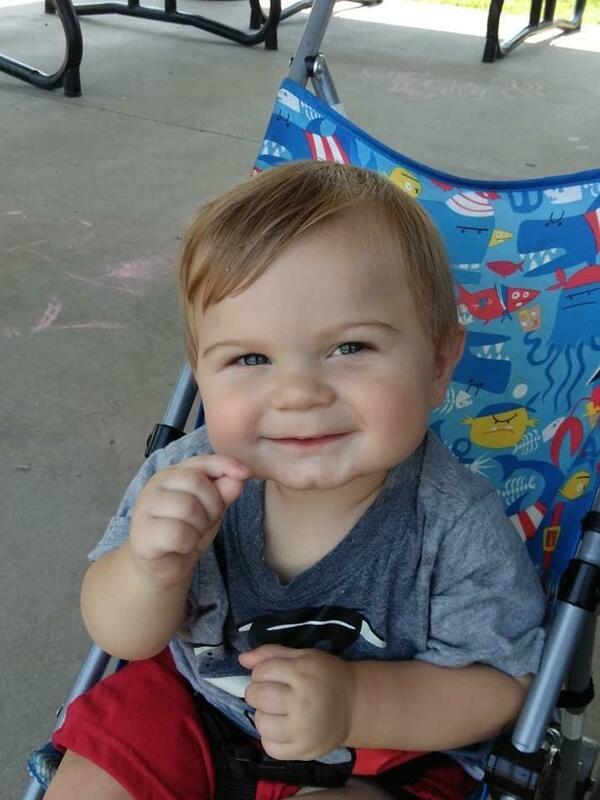 Ronin Daniel (Bubby) Smalley, 13 months old, passed away Wednesday, December 19, 2018. Funeral services will be 10:00 a.m., Wednesday, December 26, 2018, at Brintlinger and Earl Funeral Home, Cerro Gordo, IL, with visitation one hour prior to service time at the funeral home. Burial will be in Cerro Gordo Cemetery, Cerro Gordo, IL. Memorials may be made in c/o Lainy Jackson, to go towards the care of Zoey and Emmaka Smith. Ronin was born October 26, 2017, in Decatur, IL, the son of Blake and Lainy (Jackson) Smalley. He is survived by his parents and sisters Zoey and Emmaka, all of Cerro Gordo, IL; maternal grandparents Danny (Michelle) Jackson of Cerro Gordo, IL, paternal grandparents David (Penny) Smalley of Cerro Gordo and Debra Ryan of Bethany, IL; aunts Chelsey (Chris) Croslow of Tuscola, Nicole Smalley of Mt. Zion, Holly & Joe Gagnon of Decatur; uncle Kyle Ryan of Decatur. Condolences and memories may be shared with the family in care of Brintlinger and Earl Funeral Homes at www.brintlingerandearl.com. 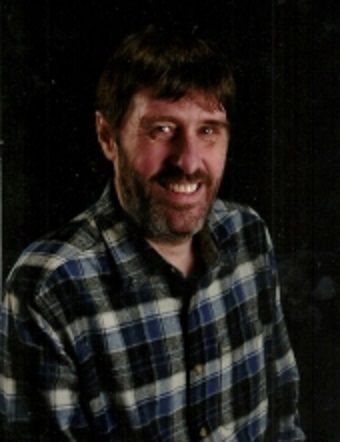 William Shane Peterson 41 of Kenney, IL passed away 10 PM December 14, 2018 in Macon County as a result of a single-vehicle accident. Celebration of Shane's life will be held after the holidays. Memorials may be directed to William Shane Peterson memorial fund. Shane was born March 14, 1977, in Fort Worth, TX the son of Patrick Peterson and Kathleen Pitman. He married Jennifer Carter on March 13, 2012 in Clinton, IL. Survivors include his wife, Jennifer Peterson, Kenney, IL; father, Patrick Peterson, Clinton, IL; mother, Kathleen (John) Zeller, MN; children, Jonathan Peterson, Kenney, IL, Gage, Decatur, IL, Paris, Travis, and Cameron all of Kenney, IL, Alex Clymer, Ashley Jesse, Brittany Jesse; biological mother, Kelly Garcia, Tilden, TX; grandmother, Rhea Peterson, Clinton, IL; siblings, Jessica Keough, Pleasanton, TX, Chelcie Garcia, Pleasanton, TX, Cody Garcia, Jourdanton, TX, Cory Garcia, Tilden, TX, Shana Nickel, MN, Eliza Zeller, MN, Sheridan Zeller, MN, and John Zeller, MN; and niece, Madison Keough, Pleasanton, TX. He was preceded in death by his grandfather, Paul "Bearpaw" Peterson. Shane was a partner in Freedom Wood Restoration in Omaha, NB. His interests include Native American Culture, powwows, fishing and home projects. He was a very dedicated and hard-working man. He loved his family and friends and spending time with them. Henry Deavers, 61, of Heyworth, Illinois, passed away at 6:24 P.M. Sunday, December 16, 2018, at OSF St. Francis Medical Center, Peoria, Illinois. A memorial service will be held at 11:00 A.M. Saturday, January 5, 2019, at Faith Fellowship Center, Heyworth, Illinois, with Pastor Charles F. Bannock officiating. Inurnment will be at a later date. There will be no visitation. Calvert-Belangee-Bruce Funeral Home, Heyworth, Illinois, is in charge of arrangements. Memorial contributions may be made to Patricia Deavers. Mr. Deavers was born May 24, 1957, in Lincoln, Illinois, to William Glenn and Edna L. Deavers. He married Patricia Ann Coffman on February 27, 2001, in Hudson, Illinois. She survives in Heyworth, Illinois. He is also survived by his four sons, Justin True of Heyworth, Illinois, Henry Deavers Jr. of Metamora, Illinois, Dalton Deavers of Heyworth, Illinois, and Seth Deavers of Heyworth, Illinois; two daughters, Serena (Keith) Chapman of Clinton, Illinois, and Tonya (Joe) McFarland of Mitchell, Indiana; five grandchildren, Matthew Chapman of Bloomington, Illinois, Dakota and Sierra Law of Heyworth, Illinois, Bradley Webb of Heyworth, Illinois, and Temper Deavers of Mitchell, Indiana; two brothers, Jerry (Karen) Deavers of Mitchell, Indiana, and Billy (Amy) Deavers of Danville, Illinois; his father-in-law and mother-in-law, Charles and Hazel Law of Heyworth, Illinois; and many nieces and nephews. Henry was preceded in death by his parents and two brothers, William and Abe Deavers. He was a United States Army Veteran. He was stationed at Fort Bragg, North Carolina and served for 3 years in Germany. He was a member of the Faith Fellowship Center, Heyworth, Illinois. 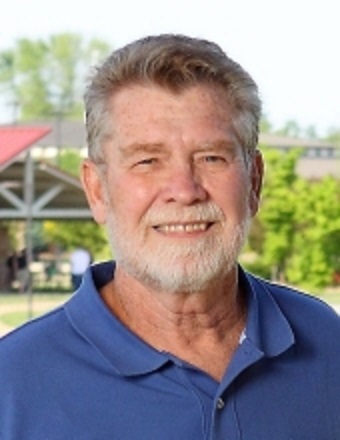 Charles Gregory “Gregg” Weikle 62 of Forsyth, IL passed away 12:03 A.M. December 18, 2018 at Decatur Memorial Hospital, Decatur, IL. A time to celebrate Gregg’s life will be 10 AM, Saturday, December 22, 2018 at the Calvert Funeral Home, Maroa, IL with DMH Chaplain Jan Dial officiating. Following the services, the family invites everyone to the Maroa Grade School Gym for a time of fellowship. Memorials may be directed to the Charles Gregory Weikle Memorial Fund. Gregg was born September 16, 1956 in Decatur, IL the son of Charles Franklin and Alice (Hoffman) Weikle. He married Sherilyn Kay Austin August 31, 1979 in Maroa, IL. Survivors include his wife, Sherry Weikle, Forsyth, IL; children, Andrew (Rachel) Weikle, Chicago, IL and Derek (Cayla) Weikle, St. Louis, MO; father, Frank Weikle, Maroa, IL; mother, Alice Weikle, Shorewood, IL; sister, Allison (Scott) Huminsky, Shorewood, IL; niece, Riley Huminsky, Shorewood, IL; mother-in-law, Julia Ann Austin, Forsyth, IL; sister-in-law, Kathy (Bob) Darling, Becker, MN; nephew, Matthew (Annie) Darling, Sartell, MN; grand-nieces: Brynn Darling, Cailin Darling, and Marin Darling, Sartell, MN. He was preceded in death by his father-in-law, Larry Austin. Gregg enjoyed playing many sports and later coaching both of his sons. He was a longtime volunteer firefighter for the Maroa Fire Dept and had a long career programming and designing Fire Alarm systems. William E. "Monk" Tarter, 98, of Monticello passed away at 4:41 p.m. Saturday (Dec. 15, 2018) at Kirby Medical Center, Monticello. Monk was born Dec. 12, 1920, in Delmer, Ky., the son of John and Gertie Tarter. He married Ruie C. Baker. She passed away April 8, 2015. Monk is survived by his children, G. Dean Tarter, Janet M. Burton, Paula Nixon and Bruce Tarter; grandchildren, Rob, Amy, Ron, Corey, Derek, Emily and Deb; and great-grandchildren, Ali, Owyn, Lilyn, Zoey and Onyx. Monk’s siblings included Willard, Ezra, Glenn, Velma, Silvia and AlmaJean. Monk was a retired janitor for the Monticello school district. Monk served in the U.S. Army. He was a member of the NRA and his hobbies included auctions, cars, clocks and guns. Monticello. A graveside service will be at 10 a.m. Friday, Dec. 21, 2018, at Bement Township Cemetery. Memorial donations may be made to Kirby Medical Center. Condolences may be sent to the family at mackey-wrightfuneralhome.com. 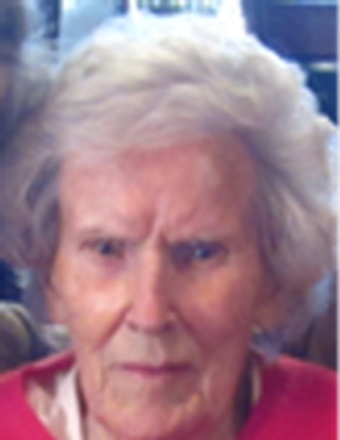 Bernadine Reynolds, 99 of Clinton, IL passed away 7:12 A.M. December 15, 2018 at Manor Court, Clinton, IL. Mass of Christian Burial will be 10:30 AM Thursday, December 20, 2018 at St. John’s Catholic Church, Clinton, IL with Rev. Fr. James Henning, Celebrant. Burial will follow at Memorial Park Cemetery, Clinton, IL. Visitation will be 9:30 – 10:30 AM Thursday at the church. Calvert Funeral Home, Clinton, IL is in charge of arrangements. In lieu of flowers, memorials may be directed to St. Jude Children’s Hospital. Bernie, as she was fondly known, was born July 11, 1919 to Haven and Lida (Gibson) Page in Solomon, IL. Survivors include her daughter, Karen Reynolds, Clinton, IL; son, Phillip (Erin) Reynolds, Chattanooga, TN; 3 grandchildren, Brienne (Wallace Powers) Reynolds, Nashville, TN; Kailan (Mason) Kehoe, Chattanooga, TN; and Matt Reynolds, Houston, TX; great-grandchild, Wyatt Kehoe; 2 nephews: Mike Page and C.D. Page. She was preceded in death by her parents; husband, Edward “Bud” Reynolds; son, Gary Reynolds, 2 brothers, Gerald and Charles Page; and 1 sister, Frances Page. Bernie was a lifelong resident of DeWitt County and farmed with her husband near Weldon, IL for many years. After his death, she worked several retail jobs before becoming the administrative assistant of the DeWitt-Piatt Bi-County Health Department for 26 years. Following retirement, she stayed involved in her community as a volunteer with the Red Cross Mobile Blood Drive, and the Reading Program at Douglas School. Bernie was an active, loving mother and grandmother. She loved playing games with her grandchildren, she enjoyed cards and socializing with her many friends, both young and old. She was a member of the St. John’s Catholic Church in Clinton, IL and participated in the Altar and Rosary Society at the parish. She was an avid shopper and listener to political television programs. The Reynolds family would like to thank the staff of OSF Hospice, past and present nurses, CNAs and staff of Liberty Village for their kind and compassionate care. Dolores Ann Albert, 84, of Lincoln passed away on Saturday, December 15, 2018 at The Christian Village in Lincoln. Dolores was born on December 15, 1934 in New Holland, IL the daughter of Anton and Lorcy (Sparrow) Bartmann. She married William John Albert on January 10, 1954 in Lincoln, IL. He survives in Lincoln. Dolores was preceded in death by her parents, her son, Donald; two daughters-in-law, Connie and Susie; one granddaughter, Melinda; her sister-in-law, Debbie Bartmann; and her brother-in-law, Steve Unzicker. 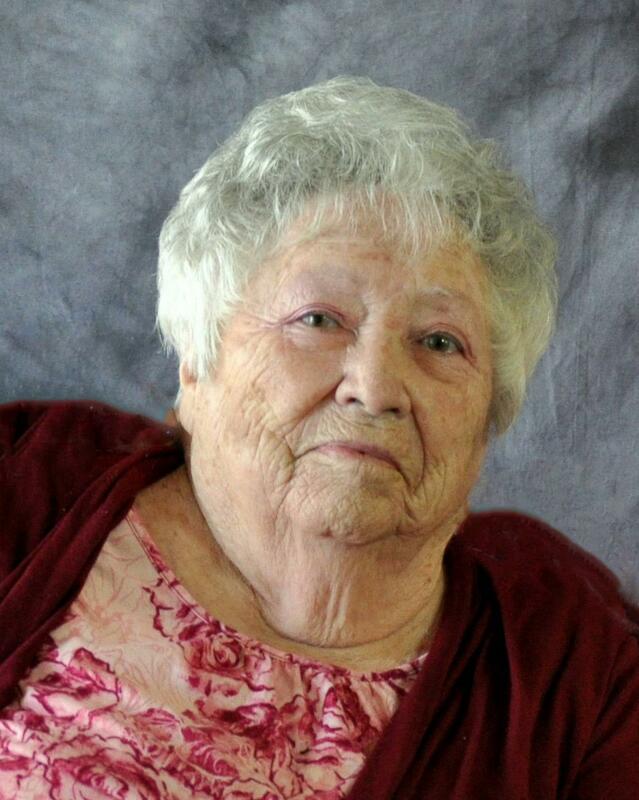 Dolores was a member of Zion Lutheran Church in Lincoln; as well as a member of The Ladies Aid of the church. She was a Nurse’s Aide at Abraham Lincoln Memorial Hospital and at Bartmann Nursing Home. 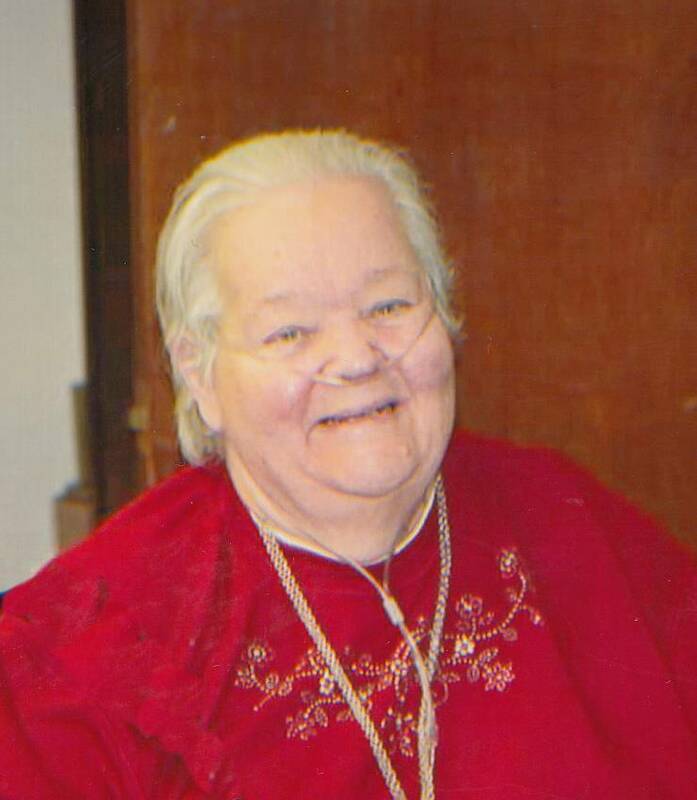 Services for Dolores will be held at 11:00am on Thursday, December 20, 2018 at Zion Lutheran Church in Lincoln with Rev. Mark Thompson officiating. Visitation will take place one hour prior to the service (10:00-11:00am) also at the church. Burial will take place at Zion Cemetery on a later date. Memorial donations may be made in Dolores’ name to Zion Lutheran Church. Services have been entrusted to Fricke-Calvert-Schrader Funeral Home. 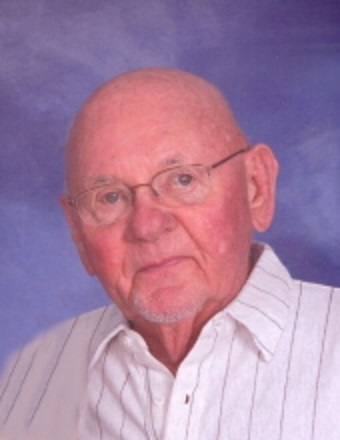 Robert ‘Bob” Berry, 79, passed away at 6:20 p.m. on December 12, 2018 at his home surrounded by his loving family. Bob was born on May 26, 1939 in Du Quoin, IL; son of Otis Lee and Altheda (Caraker) Berry. He married Mary E. Koch on June 16, 1979 in Du Quoin, IL. She survives him. Also surviving are his children: Michael (Billi-Jo) Berger and James (Paula) Berger; three siblings: Ted L. (Vernice) Berry, Charlotte Acuff, and Rita Morgan; sixteen grandchildren and three great-grandchildren. He was preceded in death by his parents and one son: Ryan Berry. Services for Bob will be 2:00 p.m. Wednesday, December 19, 2018 at Fricke-Calvert-Schrader Funeral Home in Lincoln, IL with Michael Woolsey officiating. Visitation will be one hour prior to service. Burial at Mt. Pulaski Cemetery will follow the service. Memorials may be made in Robert’s name to his wife Mary Berry. Naomi Elizabeth James VanGorder Bragg passed away peacefully in her home December 9, 2018. She was born December 11, 1918 near Mansfield, Illinois to Bert and Nora James. She was preceded in death by her parents, four sisters, and two brothers. She graduated from Stephens College with an Associates Liberal Arts Degree in 1939. She married Beryl VanGorder. He passed away in 1941. Their son, Stephen, survives her. In 1945 she married Robert Bragg who passed away in 2004. Their children Ann Eckert (Roger), Bruce Bragg (Mary Margaret), and Margi Leigh (Myron) also survive her. Additionally, she is survived by seven grandchildren, 11 great-grandchildren, and one great-great-grandchild plus many nieces and nephews. Her life’s love language was acts of service. Her displays of kindness are too numerous to mention, though many will fondly remember that she gave many years of service to the Carle Hospital Auxiliary and baked numerous red velvet and angel food cakes for those she loved. Her 100th birthday was celebrated early while friends and family were with her for the Thanksgiving holiday. A celebration of life will be held at a later date. Memorials may be made in her name to the Juvenile Diabetes Research Foundation (www.JDRF.org) or that of the donor’s choice. 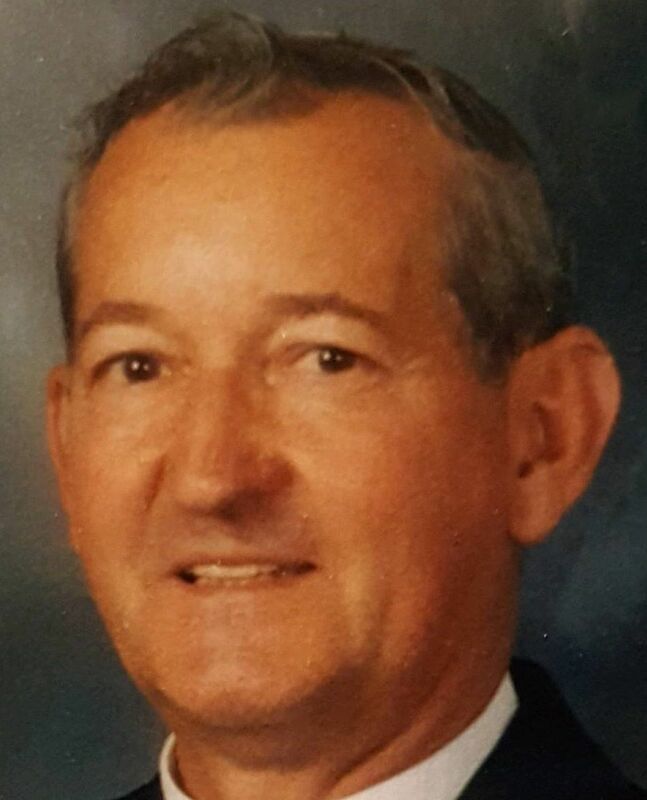 Henry E. “Hank” Klinger passed from his mortal home to his eternal home Wednesday (Dec. 12, 2018) at Lakeview Memory Care, Bloomingdale. He was born on July 16, 1941, in Detroit, Mich., the son of Walter O. and Elizabeth L. “Betty” Klinger. His cherished memories include growing up in Huntington Woods, Mich., and the family moving to Clinton during his junior year in high school. Hank was a graduate of Clinton Community High School, Class of 1959, where he met his sweetheart Saundra Kay Rolofson and later married her on Nov. 27, 1963. He attended Eastern Illinois University, then started his career in the laboratory with Revere Copper and Brass in Clinton, up until the time he joined the Army. He was drafted in the Army as a helicopter maintenance instructor for two years and then was honorably discharged in January 1972. Soon after the discharge from the Army, he resumed his career with Revere Copper and Brass as a purchasing agent for several months before the family moved to Bartlett, where they currently reside. Hank's career in the suburbs of Chicago included working in the steel industry as a purchasing agent for Precision Steel Warehouse in Franklin Park, and later becoming vice president/general manager for Fox Valley Steel and Hico Corp. in Elgin. Hank retired in 2006, and since then enjoyed spending time with family, golfing, fishing and hunting. Survivors include his daughter, Amy (Jay) Langfelder, and granddaughter, Mya Langfelder, Bartlett; brother, John (Laurie) Klinger, Beaver Dam, Wis.; nephews, Tim (Lynn) Klinger, Prospect Heights, and Randy (Kathy) Klinger, Bloomington, Minn.; along with great-nephews, Alex, Melbourne, Fla., and Tyvan, Bloomington, Minn.
Hank was preceded in death by his parents, Betty and Walter Klinger, and his wife, Saundra Klinger. He was a former member of Kiwanis and the Bartlett Men's Golf League. While residing in Clinton he was a member of the Jaycees. Friends and family may call from 5 to 7:30 p.m. Sunday at Countryside Funeral Home and Crematory, 950 S Bartlett Road, Bartlett, with a memorial service at 7:30 p.m. Pastor Jarvis will officiate. Local visitation will be from noon to 1 p.m. Monday at First Baptist Church, 111 Illini Drive, Clinton, with a funeral at 1 p.m. Pastor Roberson will officiate. Burial will be at Mausoleum Park Cemetery, Clinton, with military honors. In lieu of flowers, donations can be made to USO. Information is available at 630-289-7575 or www.countrysidefuneralhomes.com. Delores J. Houston of LeRoy died Dec. 7, 2018, in Normal. She was born Sept. 27, 1933, in the rural Saybrook area, where she met and married Jack Houston. She had two children, Dennis Houston, deceased, and Candy Harrison, surviving. She is also survived by a grandson, Brandon (Alyssa) Houston, and her favorite of all, her great-grandchildren, Illeyna and Robbie Houston. Delores worked hard her whole life, retiring from Eureka-Williams after many years of service and spending retirement with friends and family. She will be greatly missed. Condolences may be left at kiblerbradyruestman.com. 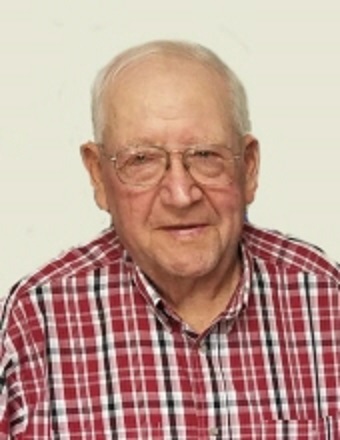 E. Edward “Ed” Hoffman 93 of Lovington, Il. passed away 10:15 A.M. December 12, 2018, at St. Mary’s Hospital, Decatur, Il. Masonic Services will be at 1 PM Saturday, December 15, 2018, at the Calvert Funeral Home, Clinton, IL, followed by religious services with Larry Traxler officiating. Burial will follow at Point Pleasant Cemetery, Long Creek, IL. Visitation will be 12- 1 PM on December 15, 2018, at the funeral home. Ed was born August 16, 1925 in Clinton, IL, the son of William and Nellie (Poole) Hoffman. He married Evelyn June Marsh on April 10, 1949 in Maroa, IL. Survivors include his wife, Evelyn June Hoffman, Lovington, Il. ; Children, Ronald Edward (Janet) Hoffman, Fisher, IL; David Randall “Randy” Hoffman, Lovington, IL; Timothy Scott (Laura) Hoffman, Oakley, IL; 5 grandchildren and 2 great-grandchildren; siblings: Gene Hoffman, Clinton, IL and Faye Kaufman, Maroa, IL. He was preceded in death by his parents, 2 brothers and 3 sisters. Ed farmed all his life in Macon, Moultrie, Piatt and DeWitt Counties. He was well known for his custom work. Ed was a member of the Masonic Lodge Ancient Free and Accepted Masons. Margery C. Johnson, 81, of Monticello passed away at 8:53 p.m. Sunday (Dec. 9, 2018) at Carle Foundation Hospital, Urbana. Margery was born Jan. 16, 1937, in Brazil, Ind. She married Frederick L. Johnson on Aug.18, 1957, in Terre Haute, Ind. Margery is survived by her husband, Frederick Johnson of Monticello; sons, David Johnson of Savanah, Ill., and Steven Johnson (Emma) of Farmer City; daughter, Sally Bower of Monticello; and grandchildren, Saylor Bower, Henifa Johnson and Victoria Bower. She was preceded in death by her parents, George and Thelma Klatte, and a brother, Nelson Klatte. Margery was a child care provider. Her hobbies included sewing, reading, cooking, crafts and gardening. A private family memorial service will be held. Memorial donations may be made to the Crisis Nursery, 1309 W. Hill St., Urbana, IL 61801. Condolences may be sent to the family at mackey-wrightfuneralhome.com. Shirley Joy Gill, 80, passed away at 9:41 a.m. on December 8, 2018 at her home surrounded by her loving family. Shirley was born on February 14, 1938 in Mt. Erie Township, IL; daughter of Bertram Wesley Sr. and Rosalind Modena (Best) Gillum. She married Glenn Gill Sr. on September 16, 1956 in Mt. Pulaski, IL. He preceded her in death on December 16, 2012. Surviving Shirley are her children: Pamela (Eddie) Johnson and Brian (Bobbie) Gill; one brother: Paul W. (Fern) Gillum; one sister: Theara Sue (John Michael) Werschey; fifteen grandchildren, twenty-two great grandchildren, and one great-great grandchild. She was preceded in death by her parents, two daughters: Shirlene Gill and Rosalind Biggs, two sons: Jeffrey Wade Gill and Glenn Gill Jr, and her siblings: Bertram Wesley Gillum Jr., Donald W. Gillum, and Jerry W. Gillum. 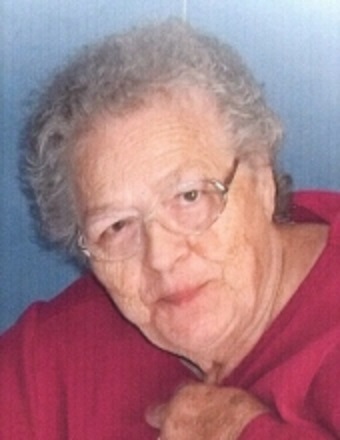 Shirley was a member of the First United Methodist Church in Lincoln, IL for many years. She loved spending time with her family and will be missed very much by them. Services for Shirley will be 10:00 a.m. Tuesday December 18, 2018 at Fricke-Calvert-Schrader Funeral Home in Lincoln, IL with Rev. Tami Werschey-Kessinger. Visitation will be from 4:00 p.m.-7:00 p.m. Monday December 17, 2018 at Fricke-Calvert-Schrader Funeral Home in Lincoln, IL. Burial at Mt. Pulaski Cemetery will follow the service. Memorials may be made in Shirley’s name to Safe Haven Hospice. 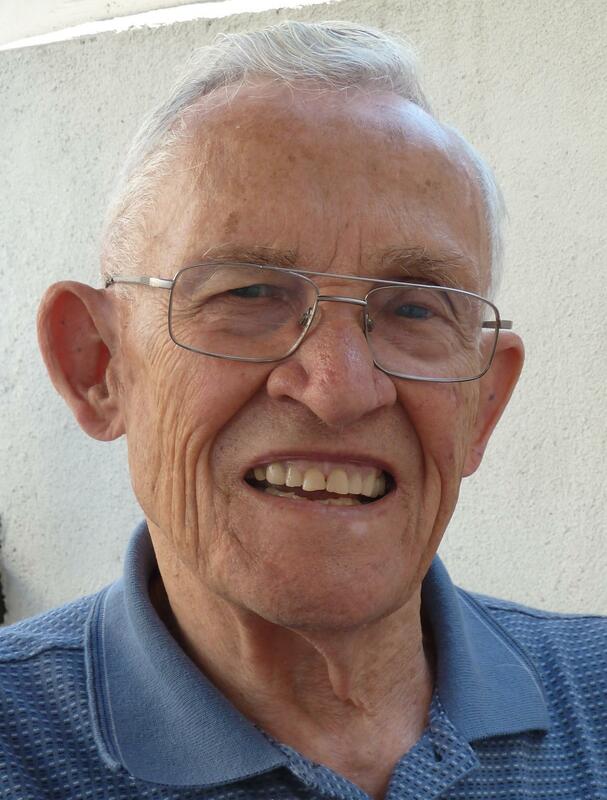 John "Jack” Scroggin, 91, of Mt. 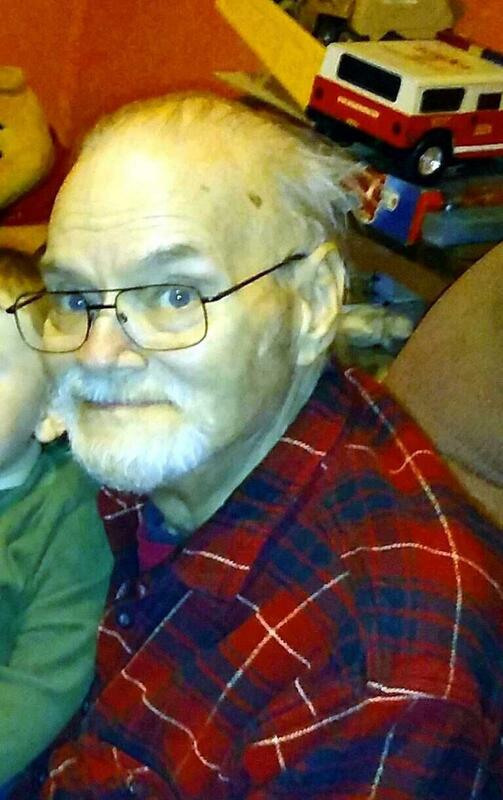 Pulaski passed away December 6, 2018 at Memorial Medical Center in Springfield, IL. Funeral services will be on Monday December 10th at Fricke-Calvert-Schrader Funeral Home, Mt. Pulaski, IL, with visitation one hour prior to the 11:00 AM service, with Mark Weber officiating. Burial will follow the service at Steenburgen Cemetery, Mt. Pulaski, IL. Jack was born December 22, 1926 in Lincoln, IL, the son of Wesley A. and Helene E. (Shrader) Scroggin. He married his life-long friend and companion Joyce Baker on August 15, 1948. After serving in the US Army during World War II, he attended the University of Illinois and graduated with honors in 1950, majoring in accounting and agronomy. He also played in the marching Illini Band. After college, Jack returned to the family Seed business. He started out as a farm kid and ultimately became a Seed Industry Leader and the President of Bo-Jac Seed Company, which was founded by his father Wesley. He loved the challenges of the seed Industry and gave back in numerous ways including serving as President of the Illinois Seed Dealers Association, serving on US Congressman Robert H. Michel’s Ag Advisory Council and as a Director of the US Feed Grains Council. He traveled throughout the United States representing the US Feed Grains Council. Prior to his retirement, he served several terms; as a Deacon and Trustee at the Mt. Pulaski Christian Church, as a School Board member and on community Boards of Directors. Jack and Joyce loved attending Illinois football games, family get togethers, wintering in North Port, FL and traveling the world. Their trips took them to the far corners of the world including sailing down the Yangtze River in China, visiting the Taj Mahal in India to facing down a rhino while on an African Safari. No adventure was off limits to them. He is survived by his wife Joyce, daughter Pamela (Gary) Cooper, Lincoln, IL, son Tim (Karen) Scroggin, grandchildren Chad (Janette) Cooper, Heth (Sarah) Cooper all of Mt. Pulaski, Kyle (Jenny) Scroggin, Sherman, IL and Briana (Justin) Davsko, Chatham, IL and eight great grandchildren, Olivia, Kenneth, Audrey, Elliot, Maddox, Wyatt, John and Leo. Jack and Joyce celebrated their 70th wedding anniversary this past summer. Memorials in Jack’s honor may be made to The Mt. Pulaski Christian Church. Mary Frances Riley, 84, formerly of Rantoul, passed away at 9:04 p.m., Monday, December 3, 2018 at the Odd Fellow Rebekah Home, Mattoon. Mary was born August 30, 1934 in Beecher City, IL the daughter of Samuel R and Bertha A (Whitacre) Miller. She married John D. Riley at the Beecher City Church of Christ on September 5, 1953. Mary is survived by her husband, John D. Riley of Monticello, formerly of Rantoul; daughters, Elizabeth (Jeffrey) Fairchild of Monticello, Linda (Glen) Roberts of Champaign; sons, Dennis (Angela) Riley of Charleston, John David (Xin) Riley of Urbana, Scott (Dawn) Riley of Lakewood, CO; 5 grandchildren; 7 great-grandchildren; brothers, Ray Miller of Streamwood, Frank (Bonnie) Miller of Beecher City; and sister-in-law Aileen Miller of Shelbyville. She was preceded in death by her parents, sister Dorothy Mawyer, brother George Miller, and sister-in-law Nora Ellen Miller. Mary was a homemaker and a day care provider. She was a charter member of the Rantoul Christian Church. Memorial services will be Sunday, December 16, at the Monticello United Methodist Church, 2020 E. Washington St., with the Rev. Kathy Sweet officiating. Visitation is from 4:00 to 5:00 p.m., followed by a memorial service at 5:00. Interment will be held in Hubbartt Cemetery, Beecher City, at a later date. 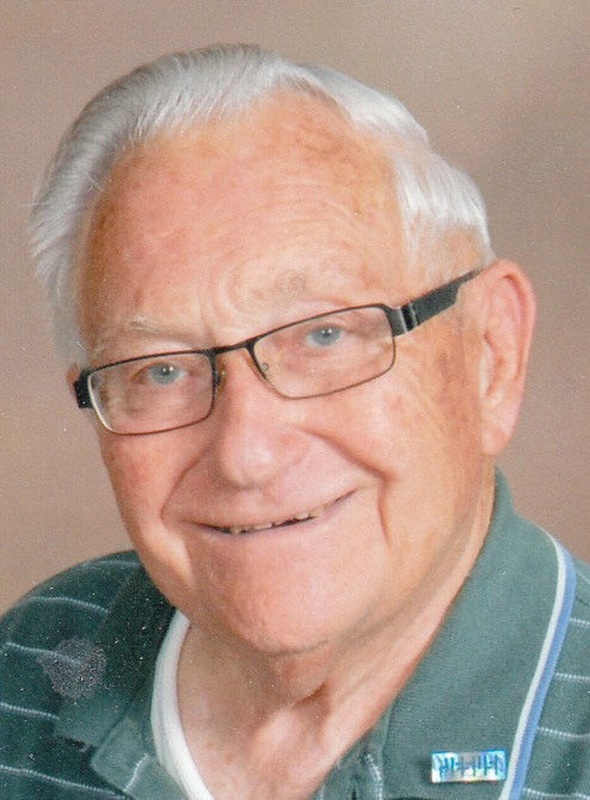 Robert E. Hupp, 90, of Oreana, IL, passed away, December 6, 2018 at Decatur Memorial Hospital. Robert was born June 10, 1928 in Oreana, IL, the son of Thomas Edgar and Edith A (Hobbs) Hupp. He was a veteran of the US Army. He married Lois E. Ferrill on May 2, 1952 in Oreana, IL. Robert was employed as an examiner for the Illinois Secretary of State Driver Testing Facilities retiring after 30 years of service. He had served from 1956 to 1980 on the Macon County Board and as Whitmore Township Supervisor. He was a member of the Loyal Order of the Moose, and longtime Little League coach in Oreana, IL. Robert was inducted into the Illinois Softball Hall of Fame in 2018. He was an avid sports fan, especially the Cubs and Illini sports. Surviving are his wife, Lois E. Hupp; sons, Larry E. Hupp of Decatur, IL, Roger E. Hupp of Oreana, IL, Alan R. Hupp (Eydie) of Oreana, IL; daughter-in-law, Lana J. Hupp; brothers, William Hupp (Aileen) of Evansville, IN, Paul Hupp (Jean) of Decatur, IL; sisters, Dorothy Adams of Forsyth, IL, Shirley Lechleiter of Forsyth, IL, Jane Miller of Hammond, IL; grandchildren, Pamela Daily (Matthew), Nathan Hupp (Jennifer), Stefanie Hupp, Whitney Hupp, Kaitlin Hupp, Jared Hupp, Cameron Hupp, Sabrina Behrends; great-grandchildren, Brenton Daily, Tyler Daily, Tessa Daily, Brayden Daily, Landon Hupp, Ryker Hupp, Kai Hupp, Zoey Behrends; and several nieces and nephews. He was preceded in death by his parents, grandparents; son, Duane E. Hupp and one infant son; brothers, Grundy, Keith, Herbert, Dale Hupp and sisters, Cressie Pope and Faye Walters. Funeral Service will be held 2:00 PM, Wednesday, December 12, 2018 at Moran and Goebel Funeral Home. Visitation will be from 5 – 7 PM, Tuesday, December 11, 2018 at Moran and Goebel Funeral Home. Burial will be at Friends Creek Cemetery in Oreana, IL. Condolences may be left to Robert’s family at www.moranandgoebel.com. 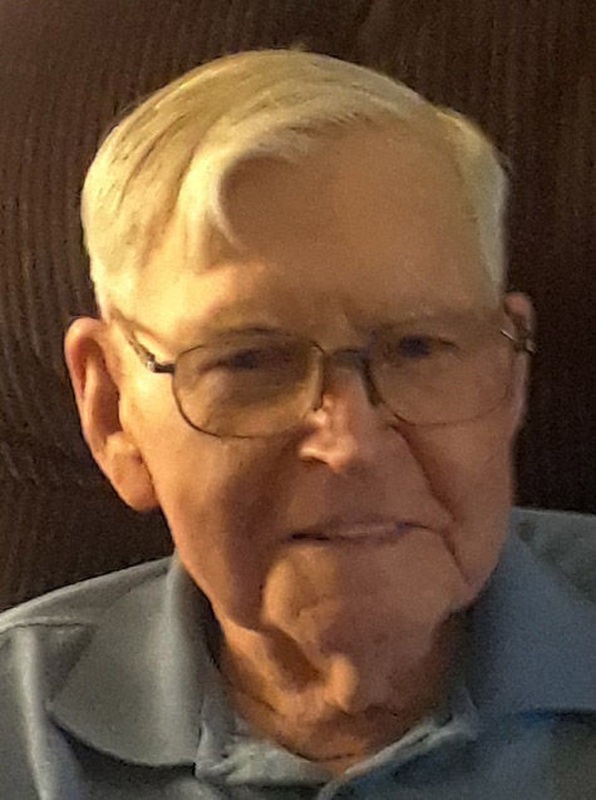 John R. Miller, 93, of New Lenox, IL formerly of Maroa, IL passed away November 25, 2018. A graveside services with Military Honors will be 10:30 AM, December 18, 2018 at Maroa Cemetery, Maroa, IL with Scott Marsh officiating. Calvert Funeral Home, Maroa, IL is in charge of arrangements. A memorial service will be 10:30 AM January 12, 2019 at St. Paul Community Church, 18200 Dixie Highway, Homewood, IL 60430. In lieu of flowers, memorials may be directed to the Salvation Army, 300 Third Avenue, Joliet, IL 60433 in memory of John R. Miller. John was born March 11, 1925 in Springfield, IL the son of John Henry and Mae Miller. He married LaVonne Ward January 11, 1948 in Decatur, IL She passed away June 24, 2008. Survivors include his daughters, Melissa M. Mickelberry, Oak Park, IL; Julia E. (John) Burns, Berwyn, IL. 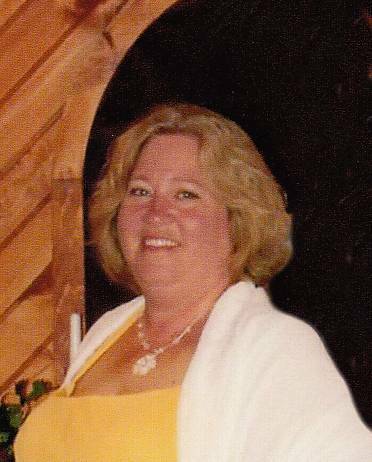 Lori Ann Barnes, 56, of Clinton, passed away at 9:05 A..M. Friday, December 7th, 2018 at Advocate BroMenn Medical Center, in Normal Illinois. Services will be 11:00 AM Wednesday, December 12th, 2018 at the Calvert Funeral Home, Clinton, IL with Scott Marsh officiating. Burial will follow at DeWitt Cemetery, DeWitt, IL. Visitation will be 5 – 7 PM Tuesday, December 11th, 2018 at the funeral home. Memorials may be directed to Texas Christian Church or Second Chance For Pets. 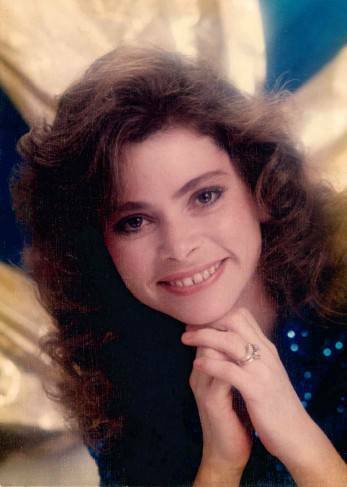 Lori was born April 7th, 1962 in Clinton, the daughter of Charles “Dave” and Lily Fern Allan. She married Brad Barnes on September 24th, 1994, in Clinton, and will be dearly missed by both her Mom and her Dad, and she will be watching you from Heaven, Dave. Survivors include her beloved husband, Brad Barnes, of Clinton; She dearly loved her family and friends. Lori has two daughters, Jennifer Perkins-McGinnis, (Jerade) of Cooksville, and Christina Bateson (Steven) of Clinton. Lori is blessed with four grandchildren; Sierra Wickenhauser, Wyatt McGinnis, of Cooksville; Jordyn and Joshuah Bateson, of Clinton. She was preceded in death by her beloved brother “Pete”. She loved to cook and spend time with her family. She was very dedicated to her husband, children, and grandchildren, and remained steadfast in her faith. Lori and her entire family wish to extend their deepest and most sincere thanks for the care, comfort and loving support provided to her by the courteous, professional and sympathetic staff at Advocate BroMenn. To those of you who called her Sweetpea, and Miss Lori, thank you. Velma J. Thayer 81 of Clinton, Illinois passed away 7:05 PM December 6, 2018 at The Loft Rehabilitation and Nursing of Normal, Illinois. A time to celebrate Velma’s life will be 10 – 11 AM, Friday, December 14, 2018 at the Calvert Funeral Home, Clinton, IL. The family requests casual attire. Immediately following the visitation, graveside services will be held at Mausoleum Park Cemetery, Clinton, IL with J. Kent Hickerson officiating. Memorials may be directed to the DeWitt County Friendship Center. Velma was born January 23, 1937 in Clinton, IL the daughter of W. L. and Mildred (Shriver) Myers. She married Richard R. Thayer May 28, 1955. He passed away July 29, 1991. Survivors include her children: Rick Thayer, Clinton, IL; Debra Redman, Clinton, IL; and Lori (Dennis) Harris, Clinton, IL; 7 grandchildren and 13 great-grandchildren; siblings: Ileen (Jack) Schumacher, Clinton, IL and Barbara (John) Lund, Florida. Velma loved sewing and quilting. She worked at The Shack Restaurant for several years. Velma loved her grandchildren and spending time with her family. Patricia (Pat) Joan Wright, 78, of Farmer City, passed away peacefully on December 5th at 10:12 a.m. at Carle Foundation Hospital surrounded by all of her children and grandchildren. Pat was born on October 15, 1940 in Bloomington IL, daughter of Hope and Cecil Hendren. She married James (Jim) Wright on June 29th, 1957 in Farmer City, IL. Surviving are her devoted loving husband Jim; children Peggy Huffstutler, Marty Wright (Brenda), Julie Roth (Scott), Jennifer Plunk (Ron), and Jamie Wright (Tyson); grandchildren Elizabeth Majernik (Matt), Tyler Roth (Sarah), Dory O’Brien (Matt), Jordann Costa (Terry), Justin Roth, Christopher Plunk (Brittany), Taylor Poppe (Phillip), and Jack Plunk (Peyton); ten great-grandchildren; and sisters Joyce Wells (Bill) and Judy Fondrk (Terry). She was preceded in death by her parents and infant son, James Douglas. Pat was a homemaker and farm wife. She enjoyed shopping and traveling. Most of all she was very proud of her family and loved nothing more than spending time with all of them. The highlight of her day was receiving a phone call or text from her grandchildren. Visitation will be from 4-7 p.m. on December 10th and the funeral service will be on December 11th at 1:30 p.m. at Calvert-Belangee-Bruce Funeral Home, Farmer City with Rev. Charles Brannock officiating. In lieu of flowers, memorials may be made to the Leibow Family. The memorials will assist her special 9 year old cousin, Emma Leibow, who is battling neurofibromatosis. 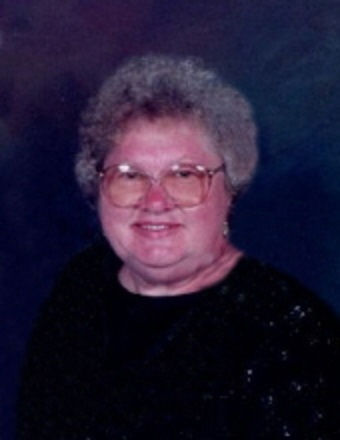 Carol L. Williams 51 of Clinton, IL passed away 2:50 PM November 28, 2018 in Bloomington, IL. Services will be 3 PM, Sunday, December 9, 2018 at the Calvert Funeral Home, Clinton, IL with J. Kent Hickerson officiating. Visitation will be 1 – 3 PM Sunday at the funeral home. Burial will be 2 PM, Thursday, December 13, 2018 at Oak Park Cemetery, Clinton, IL. Memorials may be directed to ASPCA. Carol was born June 26, 1967 in Aberdeen, MD the daughter of Paul Eugene and Gloria (Hamilton) Williams. Survivors include her siblings, Deborah Brems, Forsyth, IL; Steven Williams, Ina, IL; nephews Christopher Brems, Gainesville, FL and Eric (Rosalie) Brems, Forsyth, IL; niece, Elizabeth Williams, Sidney, IL. Carol worked at the Bloomington Post Office for 23 years. She enjoyed puzzles and cats. John D. Lichtenwalter, 70 of Normal, Il. passed away 8:10 A.M. December 4, 2018 at Lincoln Christian Nursing Home, Lincoln, IL. 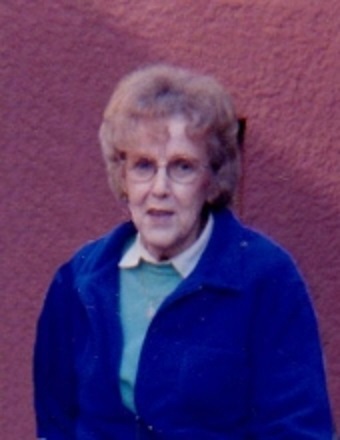 Sharon Marie Dawson Miller, 86, of St. Augustine, FL, passed away peacefully in her sleep on November 29, 2018 after a brief illness. Sharon was born on May 27, 1932 in Weldon, IL to Samuel and Huldah (Bebie) Dawson. Sharon spent her early years on a farm near Weldon IL, but later moved into Weldon to live with her grandparents and aunt and to attend high school. There she met her future husband, Jim, and they were married on July 16, 1951 and settled in Clinton. Sharon was active in the local community and was employed as a bookkeeper for over 20 years by the Clinton Community Unit School District. 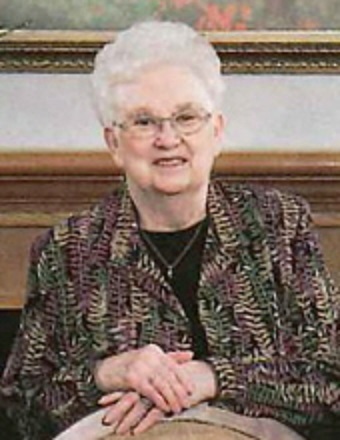 She was an active member of the United Methodist Church, the YMCA, the DeWitt County Republican’s Women’s Club, the Elk’s and Eagles Auxiliaries, the Friends of Weldon Springs, and the Friends of the Warner Library. She was also an avid Illini fan. In 1979, Sharon undertook a grass root door-to door campaign to homes throughout Clinton, and as a result became the first woman ever elected to serve on the Clinton City Commission. After enjoying the early years of their retirement rotating between Illinois and Florida, Jim and Sharon gave up their seasonal snowbird migration patterns in 2001 to become full time residents of St. Augustine. Besides enjoying the winter warmth, Sharon also relished the role of grandmother to twin granddaughters and a grandson also living in St. Augustine. She was incredibly proud to be present when both twins recently graduated from the University of Florida. Sharon was a member of the Shores Methodist Church and took great enjoyment in meeting with her Early Morning Coffee group at Publix. Sharon was an avid reader and a great fan of Tim Tebow, whom she followed from his earliest days when she would listen to Nease High School football games on the radio. Sharon was a kind, loving, and generous individual and will be sorely missed by her family and friends. Sharon is survived by her sons, Wayne (Laure) Miller of Peoria, IL, Steve Miller of St. Augustine; 5 grandchildren, Brandon (Tina) Miller of Bettendorf, IA, Elizabeth (Timothy) Arvin of Peoria, IL, Marcus Miller, of Frisco, CO, Nicolle Miller of Gainesville, FL, and Stephanie Miller of St. Augustine, FL; and 5 great-grandchildren. She was preceded in death by her husband, parents, two brothers and three sisters. Cremation rites will be accorded through St. John’s Funeral Home in St. Augustine, FL. Visitation and a service celebrating her life will be held on December 15, with service at 11am and visitation at 10am. Memorials can be made to The Weldon Springs Foundation, P.O. Box 323, Clinton, IL 61727. 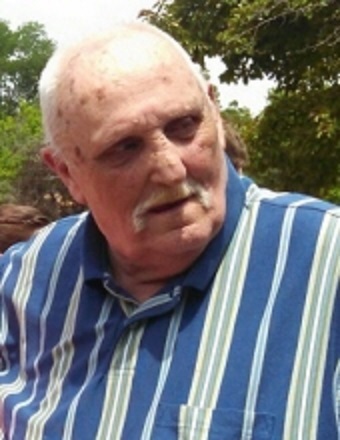 Harold “Jack” Bray 74 of Clinton, IL passed away 7:59 PM December 3, 2018 at the Warner Hospital and Health Services, Clinton, IL. A time to celebrate Jack’s life will be 5 – 7 PM, Thursday, December 6, 2018 at the Calvert Funeral Home, Clinton, IL. Memorials may be directed to the Crazy Horse Memorial Foundation, 12151 Avenue of the Chiefs, Crazy Horse, SD 57730-8900 or the Jack Bray Memorial Fund. Jack was born January 9, 1944 in Bloomington, IL the son of Albert and Violet (Rodgers) Bray. He married Erma L. Waters on September 1, 1972 in Weldon, IL. Survivors include his wife, Erma L. Bray, Clinton, IL; children: David A. (Annabell) Wilson, Ft. Worth, TX; Angie M. Bray, Flagstaff, AZ; Stephanie D. Scott, Salem, IL; Amy L. (Rob) Stephens, Bloomington, IL; Andrew J. Bray, Bloomington, IL; and Jacque L. Drake, Bloomington, IL; 10 grandchildren and 7 great-grandchildren; siblings: Tom (Thora) Bray, Clinton, IL; Wanda (Roger) Mix, Clinton, IL; Helen Wilson, Clinton, IL; Dennis (Carol) Bray, Clinton, IL; Norma (Ron) Brown, Bloomington, IL; and 2 special kids: Murphy Leigh and Lucy Bell. Jack was preceded in death by his parents and 1 brother, Robert Dean Bray. I cried today…a true friend has graduated into the Kingdom of God. 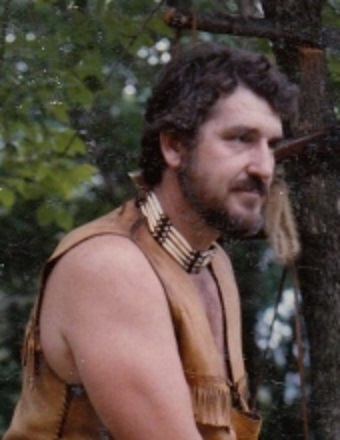 Jack “Big Bear” Bray an FCF Wilderness Member, was rough, rugged, tough, was a man’s man. But could be as gentle as a kitten and was one of the closets friends I have ever had. “But the most beautiful things in life are not things. They’re people, and places, and memories, and pictures. They’re feelings, and moments, and smiles, and laughter.” So, rejoice in the fact that he knew Jesus personally and has now met Him face to face. 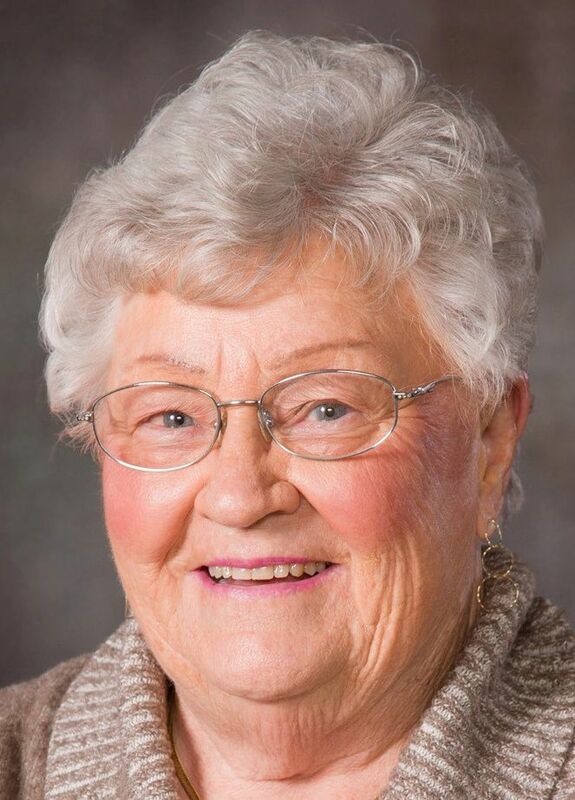 Britta Borgeson Harris passed away peacefully Friday (Nov. 30, 2018) at her home in Lincoln. She was preceded in death by her husband of 68 years, Thomas Murray Harris, who died on Sept. 18, 2018, and her eldest daughter, Janet Jorgine Harris, in 1974. She is survived by her children, Jean (Doug) Brown, LaGrange; Dr. John (Tamara) Harris, Ponte Vedra Beach, Fla.; Julie Larson, Lincoln; Thomas (Regina) Harris Jr., Lincoln; and 12 grandchildren, Renee Brown, Andrew Brown, Phillip Brown, Janet Brown, Savannah Harris, John Harris Jr., Genevieve (Nathan) Neal, Britta (Kyle) Venstrom, Christina Larson, Thomas Harris III, Katherine Harris and Dean Harris. Britta was born Oct. 11, 1927, in Chicago, the only child of Hilma and Harold Borgeson. She graduated from Carl Schurz High School in Chicago in 1945, and Northwestern University in 1949, where she studied political science. In 1975, Britta earned a master's degree in public administration from the University of Illinois. She earned a second master's degree in legal studies from Sangamon State University (now the University of Illinois at Springfield) in 1979. Britta and Tom Harris were married on April 15, 1950, and moved to Lincoln, where they raised their five children. Tom practiced law for 63 years with the Lincoln law firm of Harris and Harris. Britta taught political science at Lincoln College. She also worked for the Center for Legal Studies at Sangamon State University as a legal researcher and helped develop the school's paralegal program. She authored grant proposals as well as numerous articles on elder abuse and the transportation needs of seniors. Britta worked to improve the Logan County community in innumerable ways. She served as president of the Logan County League of Women Voters, Abraham Lincoln Memorial Hospital board trustee, Abraham Lincoln Health Care Foundation board member, and Community College Task Force member (which worked to establish the Heartland Community College District). She was appointed by Gov. James Thompson to the Illinois Counsel on Aging and was an appointed member of the Illinois Guardianship and Advocacy Commission. Britta served as chairman of the Logan County Senior Citizens Center Committee, where she obtained federal funding for the establishment of Lincoln's Oasis Senior Citizen Center, and later served as its project director. She also served on the boards of the Union Cemetery Association and Chester-East Lincoln School, was a charter member of the Logan County Mental Health Association, and was active in the First United Methodist Church of Lincoln. Britta and Tom lived outside of Lincoln, where they built their family's home and Britta created gardens and an oasis of greenery. She filled her life with all things beautiful in nature. When Britta wasn't reading or writing, or researching family genealogy, she was outside working. She instilled in her children an intellectual curiosity, and by her example, taught them to value family above all else. Her grandchildren loved and revered her. Visitation will be from 4 to 6 p.m. Friday at the First United Methodist Church of Lincoln. Funeral will be at 10 a.m. Saturday at the church with The Rev. Michael Paulson officiating. Burial will be in the New Union Cemetery, Lincoln. Memorials may be made to the Janet Harris Memorial Scholarship Fund at Lincoln College, the Oasis Senior Citizen Center or Abraham Lincoln Memorial Hospital. Final arrangements are entrusted with Peasley Funeral Home of Lincoln. Ruth E. Hitchens, 98, of Decatur, IL passed away at 11:50 PM, December 1, 2018 at Decatur Memorial Hospital, Decatur, IL. Services will be 10:30 AM Thursday, December 6, 2018 at Forsyth United Methodist Church with Rev. Andy Maxwell officiating. Burial will be 1 PM Thursday at Camp Butler National Cemetery, Riverton, IL. Visitation will be 9:00 – 10:30 AM Thursday at the church. Calvert Funeral Home, Clinton, IL is in charge of arrangements. Memorials may be directed to the Forsyth United Methodist Church, Forsyth, IL or the Kenney United Methodist Church, Kenney, IL. 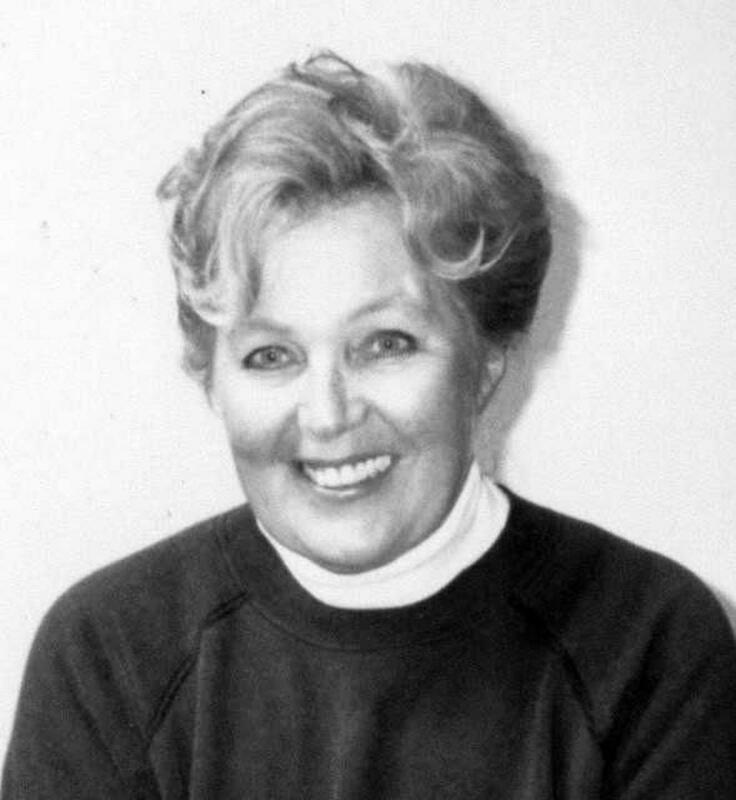 Ruth was born June 13, 1920 in Buffalo Hart, IL the daughter of Ben F. and Blanche (Andrews) Hoff. She married Leslie George Hitchens, Jr. on January 7, 1938 in Covington, IN. He passed away June 1, 2003. Survivors include her children: Richard Hitchens (Karole Johnson), Oreana, IL; Cheryl Lehman, Forsyth, IL; and Charlene (Ron) Letterly, Leesburg, FL and Springfield, IL; 7 grandchildren and 8 great-grandchildren. She was preceded in death by her parents; 1 son in infancy; 1 brother and 1 sister; and son-in-law, Norman Lehman. Ruth was a member of the Kenney United Methodist Church. She was a member of the Bookkeepers Book Club and Home Betterment, Forsyth, IL. Ruth retired from Spector Freight where she of an office clerk. Phyllis M. Keeling, 71, of Clinton, IL passed away at 4:25 AM, Saturday, December 1, 2018 at the OSF Richard L. Owens Hospice Home, Peoria, IL. Frances M. Read, 93, of Lincoln, IL passed away Saturday, December 1, 2018 at St. Clara's Rehab and Senior Center, Lincoln, IL. Robert S. Prewitt, 72, of McLean, died on Thursday (Nov. 29, 2018) at OSF St. Francis Medical Center in Peoria. Cremation rites will be accorded. A private memorial service will be held. Robert Steven Prewitt was born March 30, 1946, in Lexington, the son of Elmer and Fern Sullivan Prewitt. He married Sara Moore. She survives. Robert is also survived by their children, Kelly Steven Prewitt, April Fralick, Angela Coindreau, Richard Fralick, and Robert R. Prewitt; six grandchildren, Jessica, Taylor, Alexis, Adrian, Isabella, and Christopher; seven great-grandchildren: Chase, Carter, Clayton, Landon, Daisy, Skylar, and Kennedy; one sister, Eleanor Arbogast; nieces, Jamie and Carol; and nephew, Little Earl. He was preceded in death by two brothers, when they were young, and one grandson, Cody. Robert Steven had worked as a manufacturing steel fabricator and volunteered as a Boy Scout Leader in Bloomington. He also owned Freedom Fabrication in McLean. Mass of Christian Burial will be 11 A.M. Tuesday, December 4, 2018 at St. John’s Catholic Church, Clinton, IL with Rev. Fr. James Henning Celebrant. A private burial will follow at Memorial Park Cemetery, Clinton, IL. A Celebration of Bill’s Life will be 5:30 – 7:30 PM Monday, December 3, 2018 at St. John’s Catholic Church, Clinton, IL with a prayer service at 5:30 PM at the church. Calvert Funeral Home, Clinton, IL is in charge of arrangements. Memorials may be directed to the American Cancer Society or Special Olympics. Bill was born November 3, 1924 in Clinton, IL the son of William Frances and Vira (Bryan) Smith. He married Mary Anne Maurer June 22, 1946. She passed away January 5, 1968. He later married Elaine C. Bart September 21, 1968 in Clinton, IL. Survivors include his wife, Elaine C. Smith, Clinton, IL; children; William Scott (Lisa) Smith, Richmond, VA; Thomas Patrick (Debra Jean) Smith, Scottsdale, AZ; James Michael (Vicky) Smith, Midlothian, VA; Laurie Ann (William) Campbell, Glasgow, Scotland. Bill was preceded in death by his Parents and 1 Son; Joseph Kerry “Jody” Smith. Bill served his country during WW II as a Radio Operator in a C46 cargo plane. He served in the India/Burma theater on the first combat cargo group of the Army Air Corp. He flew “The Hump” during two years of service there. Bill was awarded the Distinguished Flying Cross with two Oak Leaf Clusters and the Air Medal with four Oak Leaf Clusters. He was a member of St. John’s Catholic Church and a trustee of the church for many years. He practiced law in Clinton for 46 years. He was a past Director serving on the Dr. John Warner Hospital Board and the John Warner Bank Board. 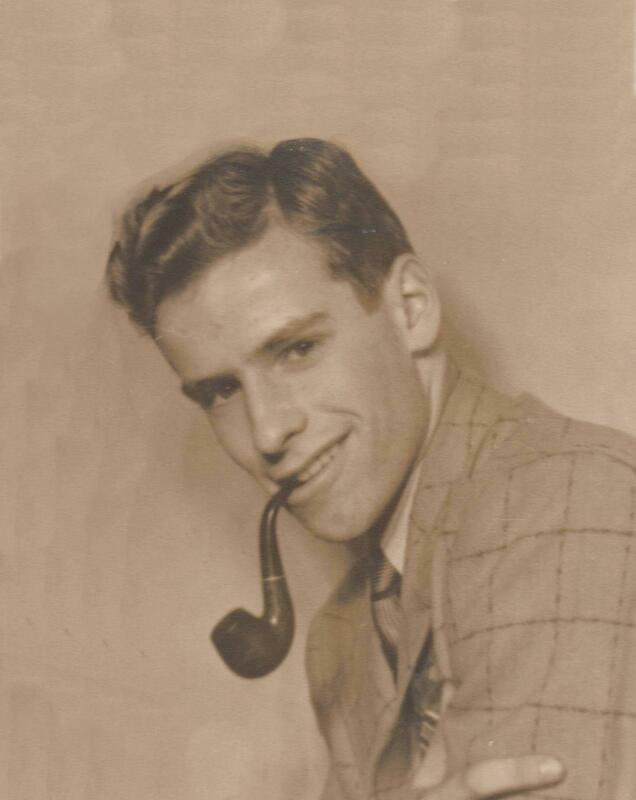 He enjoyed gardening, bird watching, high alpine hiking, camping, skiing and the Gourmet Club. Most of all he loved spending time with his family and friends. Shirley Nell Evans, 82 of Clinton, Illinois died at 10:45 p.m. Wednesday, November 28, 2018 in the Christian Village of Lincoln. A funeral service to celebrate Shirley’s life will be held at Twelve noon Monday, December 3, 2018 in the First Christian Church of Clinton. Visitation will be the two hours before the service at the church. Burial will be immediately following in the Memorial Park Cemetery of Clinton. Memorials may be made to the American Cancer Society. Tanzyus-Logan Funeral Service and Care is in charge of the arrangements. Shirley was born December 24, 1935 the daughter of Lloyd and Edna (Pugh) Willis. She was the owner of the Sears Catalog Store in Clinton and a crossing guard for Clinton Schools. Shirley married Harrold Walker Evans, Sr. on April 7, 1952. He preceded her in death August 9, 1990. Shirley loved children and babysitting and was referred to as Grandma Shirley by many. Surviving are her son, Timothy P. (Lori) Evans of Clinton, grandsons, Shawn (Raci) Evans of Clinton, Brian (Kaitlin) Evans of Orion, and Steven Evans of Clinton, great grandson, Ellis Evans and one great grandson on the way, step-sister, Ludene Black, and step-brother, Michael Willis. She was preceded in death by her parents, husband, a son, Harrold Walker Evans Jr., a granddaughter, Dixie Nikole Evans, and three sisters, Betty Burris, Donna Lloyd Stone, and LaThorne Leach.